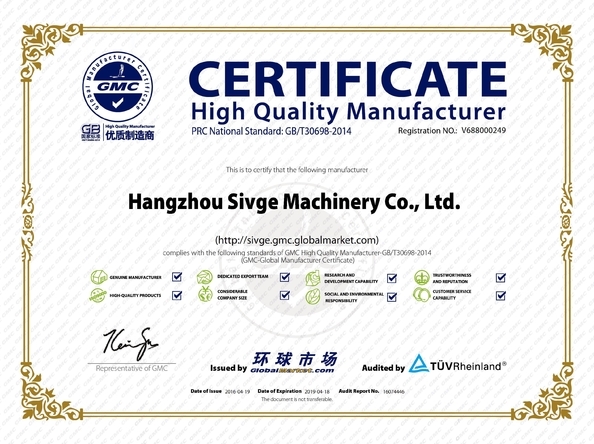 1)SIVGE firmly adheres to domestic and international standards in the process of designing, manufacturing and transporting; the strength of the parts and the stability of the whole machine must undergone strict calculation and experimental verification. 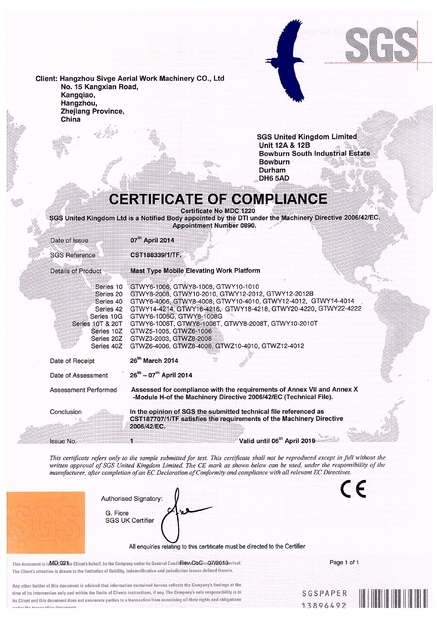 2)All products are tested by the national authoritative testing institutions. 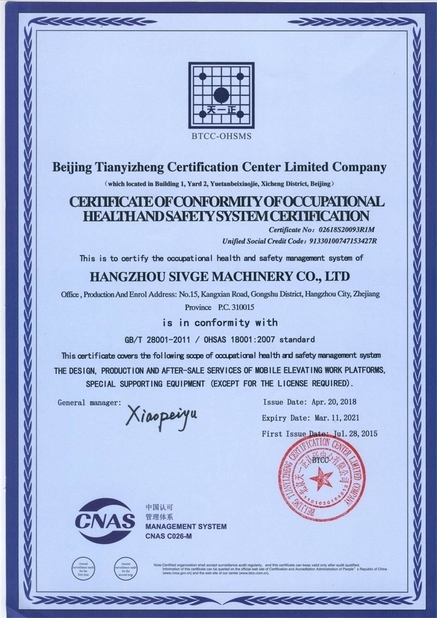 3)The production process, inspection and parts purchasing are fully in accordance with quality assurance system. 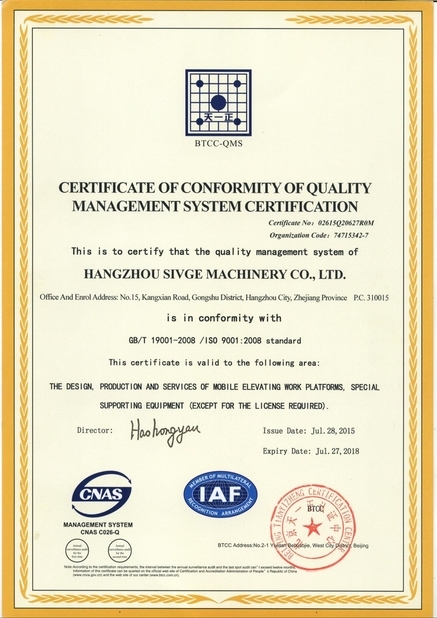 Scope/Range:THE DESIGN, PRODUCTION AND SERVICES OF MOBILE ELEVATING WORK PLATFORMS, SPECIAL SUPPORTING EQUIPMENT. 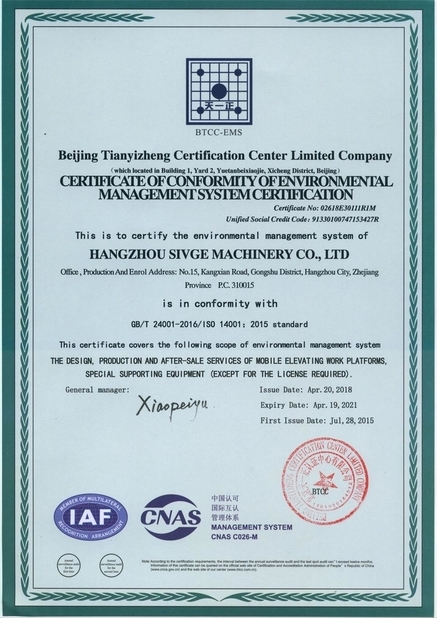 Scope/Range:Assessed for compliance with the requirements of Annex VII and Annex X of the Machinery Directive 2006/42/EC (Technical File).